Sri Nara Lokesh, Minister of AP for Panchayat Raj, Rural Development and IT Offered prayers to Lord Venkateswara today morning. 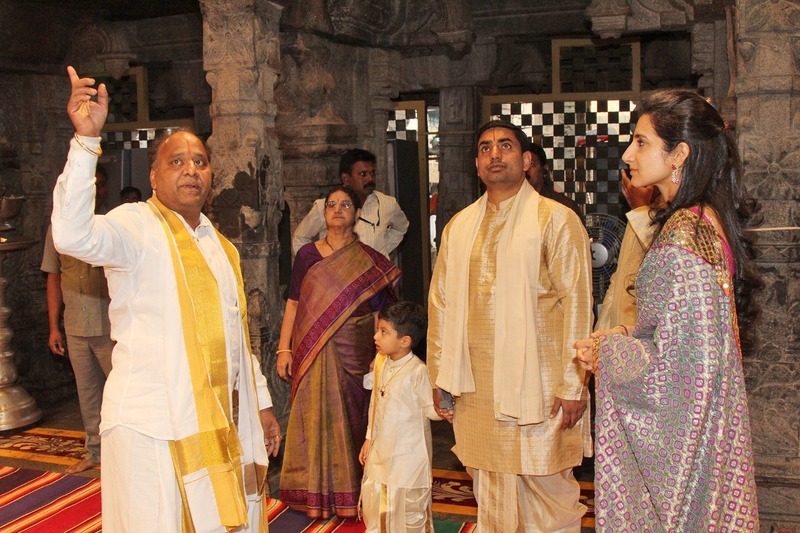 Accompanied by his wife Nara Brahmani and son Nara Devansh, Lokesh had darshan of the deity during break darshan in the early hours of Monday. After darshan JEO presented Lord laminated photo and Laddu prasadam to them at ranganayakula mandapam.